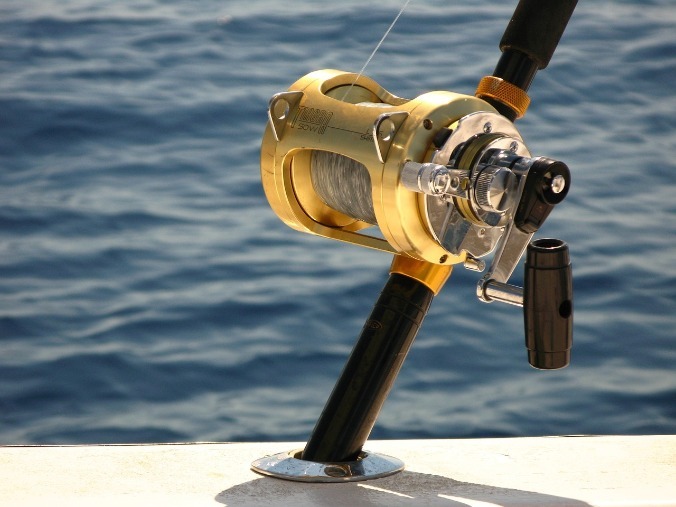 To an avid angler, Ocean Isle Beach and the surrounding areas must seem like a fishing paradise—and it certainly is! Some of the most prized game can be found in these waters, from sailfish, yellowfish tuna, king mackerel, black sea bass, and croaker to red and black drum, Spanish mackerel, and many others. There’s Ocean Isle fishing all year round in this part of the country. Starting from OIB, you can plan to spend a day in a different location, that way you’ll cover more ground and increase your chances of hooking that dream fish. For some anglers, fishing from the land is the perfect way to lure fish who prefer the shallow water. If that’s your game, then Ocean Isle Fishing Pier is the go-to place to find the best Ocean Isle fishing spots. Located at 1 West 1st Street, it’s a family friendly place and everybody is allowed to fish without the need for a license. It’s the only place where you don’t need a permit to fish in OIB. If you’re planning to take a charter or rent a boat for deep sea fishing, you’ll need to obtain a fishing license. Fishing from dry land means you wait for the fish to come to you. But if you’re after the big game, then going after the fish will pay in dividends. You can either rent a boat or go on a fishing charter, which is the preferred way. Charter captains know the best spots to land the type of fish you’re after. Also, they usually have fishing tips which will help you improve your skills and up your game. Best known for the Intracoastal Waterway, Oak Island is another fishing hotspot. There are plenty of jetties and bridge areas where you can find flounder, sheepshead, speckled trout and others. On the east of the island, you can check Montgomery Slough and Davis Creek where oyster beds and marshes are rich spots for fish. Lockwood Folly Inlet and Davis Creek have plenty of trout and redfish. Oak Island is a great place to go deep into the Atlantic Ocean and cast a line or two. The local charter captains have access to prime Ocean Isle fishing spots where you can catch cobia, amberjack, king mackerel, and mahi. Some of the hotspots around Oak Island include Navy Wreck, famous for mahi, bonita, and wahoo. The gulf stream about 60 miles from shore is a good place to hook sailfish or blue marlin. As the oldest town on the Grand Strand, Little River has something other more popular tourist destinations don’t have: a personalized fishing experience. It’s a quiet place compared to OIB and Myrtle Beach, which means anglers can go about their endeavor of landing that desired fish in relative peace. The tidal creeks are hotbeds for flounder and bluefish, while the rivers and inlets are teeming with redfish. If you’re after big boys like kingfish, amberjack, and barracuda, then the reefs and sunken wrecks near shore are your top destination. Wilmington is another Ocean Isle fishing hotspot that you should spend a day exploring. Cape Fear River unloads into the Atlantic Ocean and is home to striped and largemouth bass. The best times to catch those two is during spring and summer. At the river’s mouth, where it empties into the ocean, the water is calm and the current lazy, which makes it a nice place to cast a line and chill with a cold one. Whether you’re fishing inshore or offshore, Myrtle Beach has got a great fishing experience for every angler. Reef fishing is about 25 miles offshore and has some of the richest fish species you can find anywhere. If you want to go deeper into the ocean, then point your boat to the Gulf Stream or the Blue Water. Looking for a place to stay, close to all of these great Ocean Isle fishing attractions? Look no further than the vacation rentals from McClure Realty Vacations! Contact us today to book your stay.